With all the Spring collections launching, one might forget it's still Winter. But, The bitter cold weather quickly reminds me that Spring is still a long way away. Today, I decided to don an O.P.I oldie, Black Tie Optional...is this polish still available? 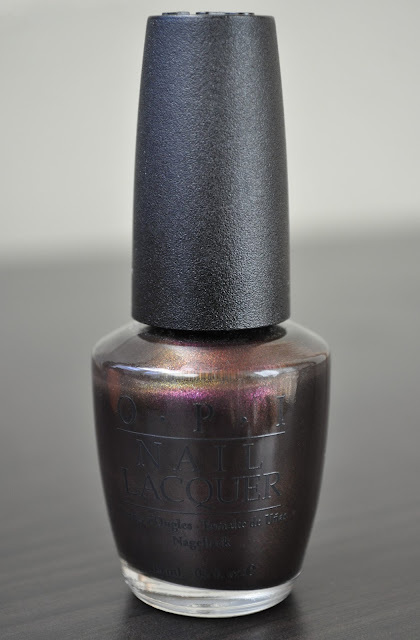 Black Tie Optional is a dark, plummy, eggplant-purple with flashes of purple, red, green and cooper sparkles. Do you own O.P.I's Black Tie Optional?